By shooting from this location, I was able to chronicle several layers leading all the way to the sky. While Rock Falls is my primary subject, there are some really nice elements leading all the way out. The layers are very symmetrical. The blue water in the foreground is paired with the blue sky, which provided a blue reflection in the water. 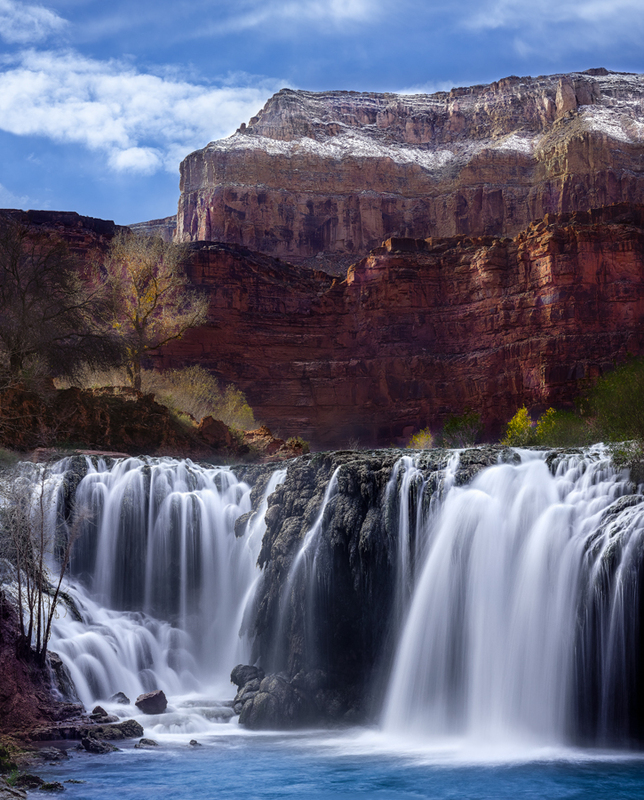 The waterfall is paired with the snow on the mountain and the middle section serves as the image’s core.